[S796] Robt Wakefield Mayflower Familes Vol 18, page 144. [S797] Birth Records entry, Civil (1920-1988). Jeremiah Coffin married Olive Thompson, daughter of Alexander Philbrook Thompson Sr, RS and Hannah Baker, on 25 February 1801 at Maine, USA. Mary Reed married David Thompson Rev., son of Alexander Philbrook Thompson Sr, RS and Hannah Baker, on 18 April 1804 at Topsham, Freeport, Maine, USA. As of 18 April 1804,her married name was Thompson. Josiah Fairfield married Sophia Anna Thompson, daughter of Alexander Philbrook Thompson Sr, RS and Hannah Baker, on 24 March 1813 at Sebec, Piscataquis, Maine, USA. Ancestry.com. U.S., Civil War and Later Wars Index to Remarried Widow Pension Applications, 1860-1934 [database on-line]. Provo, UT, USA: Ancestry.com Operations, Inc., 2013. Index to Pension Applications Files of Remarried Widows Based on Service in the Civil War and Later Wars in the Regular Army after the Civil War. Microfilm publication M1785, 7 rolls. ARC ID: 2589163. Page 253 Records of the Veterans Administration, Record Group 15. National Archives at Washington, D.C.
[S804] 18 jul 1860 Federal Census, unknown repository address. Find A Grave Memorial# 43225604. Wyatt L Chamblin MD was born on 18 January 1809 at Spartanburg, Spartanburg, South Carolina, USA.2 He married Prudence Humphrey Evans, daughter of Humphrey Evans and Jane Jincy Jennings, on 12 February 1833 at Columbia, Georgia, USA. Wyatt L Chamblin MD died on 15 August 1841 at Columbia, Georgia, USA, at age 32.2 He died before 9 September 1850. He birth and death information from Brian Family Tree by molllytoto on Ancestry.com. Middle name reported as Lutrell or Lucius. [S809] Information from Brian Family Tree by molllytoto on Ancestry.com, online unknown url. [S807] 1 Jun 1860 Federal Census, unknown repository address. [S808] 9 Sep 1850 Federal Census, unknown repository address. Wyatt L Chamblin was also known as Wyatt Chamblin.2 He appeared on the census of 9 September 1850 in the household of Prudence Humphrey Evans at Columbia, Georgia, USA.3 Wyatt L Chamblin appeared on the census of 1 June 1860 in the household of Prudence Humphrey Evans at Columbia, Georgia, USA.2 Wyatt L Chamblin began military service on 10 April 1862 at Georgia, USA, Enlisted as a Private and transferred to Company A, Georgia 63rd Infantry Regiment. Enlisted in Company A, Georgia 12th Heavy Artillery Battalion on 10 Apr 1862. Duxbury, MA 02331. He witnessed the Milt-Note of an unknown person on 27 June 1864 at Kennesaw Mountian, Georgia, USA. The land known as "The Point" owned by Humphrey Evans may now be beneath Thurmond Lake. 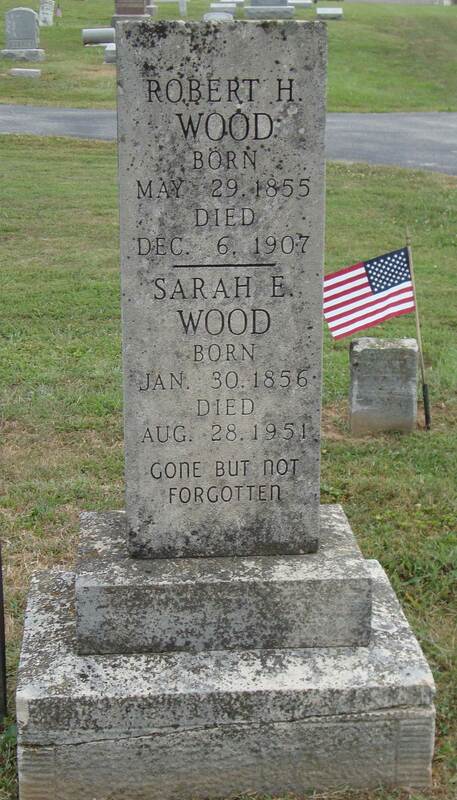 He ended military service on 17 July 1865 at Ft. Monroe, Virginia, USA. Civil War records indicate middle initial L.
[S809] Information from Brian Family Tree by molllytoto on Ancestry.com, online unknown url, exact date and location of birth from this source. [S809] Information from Brian Family Tree by molllytoto on Ancestry.com, online unknown url, name shown as Nancy Jane Chamblin. William Chamblin was also known as William Jennings Chamblin.3 He appeared on the census of 9 September 1850 in the household of Prudence Humphrey Evans at Columbia, Georgia, USA.1 William Chamblin lived in 1860 at DeWitt, DeWitt, Texas, USA.3 He witnessed the burial of John Humphrey Evans after 1866 at The Point on Evans Plantation, Columbia, Georgia, USA. [S809] Information from Brian Family Tree by molllytoto on Ancestry.com, online unknown url, llocation from this sorce. [S612] 7 Jul 1870 Federal Census, unknown repository address. [S566] Unknown name of person Cemetery Records, unknown repository, unknown repository address, Record of burial for Louisa O'Connor daughter of Louis and Mary Devoto 7 Sept 1928 shows surname O'Connor. [S566] Unknown name of person Cemetery Records, unknown repository, unknown repository address, Record of burial for Louisa O'Connor daughter of Louis and Mary Devoto 7 Sept 1928 shows surname O'Connor died 4 Sep 1928 buried in Sec. 15, Lot 20, Range 15. [S549] Unknown name of person Website, unknown repository, unknown repository address, Devoto, Angelo buried 8/4/1873 age 59 years, 4 months, parents John and Angelini. [S549] Unknown name of person Website, unknown repository, unknown repository address. [S817] 14 July 1860 Federal Census, unknown repository address. [S818] 19 jul 1870 Federal Census, unknown repository address.